4 Spaces / 1000 S.F. Highway visibility location at the intersection of Queen Ka'humanu Highway and Makala Boulevard with three new signalized intersections. Target, Petco, Office Max and Ross along with many other exciting retailers. The MacNaughton Group is a diversified group of real estate-related companies that include real estate development and investment, leasing, retail operations and various operating companies. The MacNaughton Group has been developing real estate in Hawaii for over 35 years and has created a reputation for delivering landmark destinations in the Hawaiian Islands. A core focus of the MacNaughton Group has been retail development; where in the past decades the company had developed over 3 million square feet of retail GLA in the State of Hawaii. 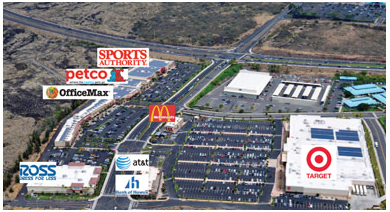 Some of the MacNaughton Group's past retail projects include Waikele Center, Maui Marketplace, Stadium Marketplace, Kapolei Parkway Shops, various KMark anchored projects on Oahu, Maui, Kauai and in Kona; and Costco Center in the Bouganville area. The MacNaughton Group's most recent developments include: Hokua at 1288 Ala Moana, a 400 foot, 248 unit luxury high-rise condominium that features 33,000 square feet of retails and office space; Capitol Place, a 35-foot, 395-unit luxury high-rise condominium in downtown Honolulu; and the redevelopment and expansion of Moanalua Shopping Center into a 110,000 square foot shopping center and office complex. The MacNaughton Group has also been involved in various retail operations that included joint venture partnerships with Blockbuster Video, Starbucks Coffee Company, Jamba Juice and P.F. Chang's Waikiki for the ownership and operation of these brands in the Hawaiian Islands. 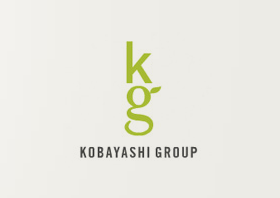 The Kobayashi Group is a real estate development and investment firm based in Hawaii that has been doing business in the islands since 1985. Today, the company is the state's most active and successful. Kobayashi Group has been doing business in Hawaii since 1985. The company began as a service corporation organized to provide real estate consulting and administrative services for related real estate entities. Today, a full range of real estate development services are providied to clients in residential, resort, commercial and govenrment real estate development projects. The company is owned by Bert A. Kobayashi, Jr., Patrick K. Kobayshi, Kathryn W. Inouye and Alana Kobayashi Pakkala. Bert A. Kobayashi, Sr. is the founder and senior adviser to Kobayashi Group. The principals of this boutique real estate development / investment firm have been involved in developments totaling over $3 billion in Hawaii. These include the very exclusive Kukio Golf Club and Beach Resort on the Big Island, Kona Village and Hualalai Resort, and total redevelopment of the Wailea Renaissance Hotel into an ultra luxury condominium-hotel. In addition, past projects also include the Bishop Museum Science Adventure Center, Kapolei Middle School, Kapolei High School, the Kapolei State Office Building, Kapolei Kai and many others.